When looking for package updates in preparation for a new Slackware Live PLASMA5 edition, I noticed that the Document Foundation had released LibreOffice 5.3.4 without updating their blog with the news – it’s only mentioned on the download page. 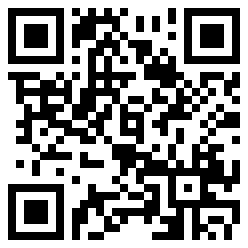 I have built and uploaded Slackware-current packages for libreoffice-5.3.4. If you are on Slackware 14.2 you will probably have to skip this one, as I will not have time for compiling packages the coming weeks (allocates one virtual machine for one day per build, since I can only check on progress in the evenings). The package for -current needed to be (re-)built anyway because of the library issue with Slackware’s updated libGLEW which prevented Impress to start. Check out the LO releasenotes if you want: https://wiki.documentfoundation.org/ReleaseNotes/5.3. The libreoffice packages for Slackware can be downloaded from a mirror like this one: http://bear.alienbase.nl/mirrors/people/alien/slackbuilds/libreoffice/. Posted: 25 June, 2017 in Slackware, Software. I installed and LO runs fine here. Thanks Eric!! 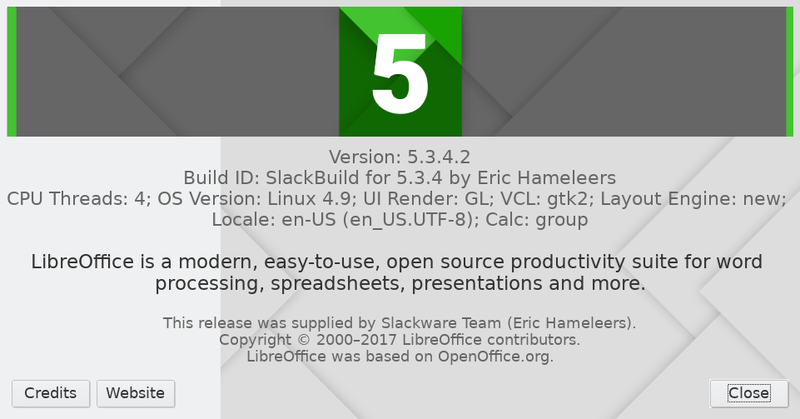 If possible, please build libreoffice-5.3.5 for Slackware 14.2 when LO is released (probably in the first week of August). Fellype, perhaps in August I will have time to do that. Nicola, I fail to see how that would affect what I do with my packages? Eric, nothing .. just a suggestion for persons that still have a 32bit system not to use kernel versions 4.11.7 and 4.11.8 (at the moment) because Libreoffice will crash opening odt files. Solved! : you can use also kernels released after 24th June, included, and have no LO crashes cause of a JAVA segmentation fault. The parametri (stack_guard_gap=1) solves my problem. Thanks!! !